Winchester just celebrated 150 years, and recent ammo products have excelled (photo by Winchester). Winchester has been on fire in recent years, and their selection by the FBI as a primary provider of the agency’s .40 S&W pistol ammunition is another sign of success. 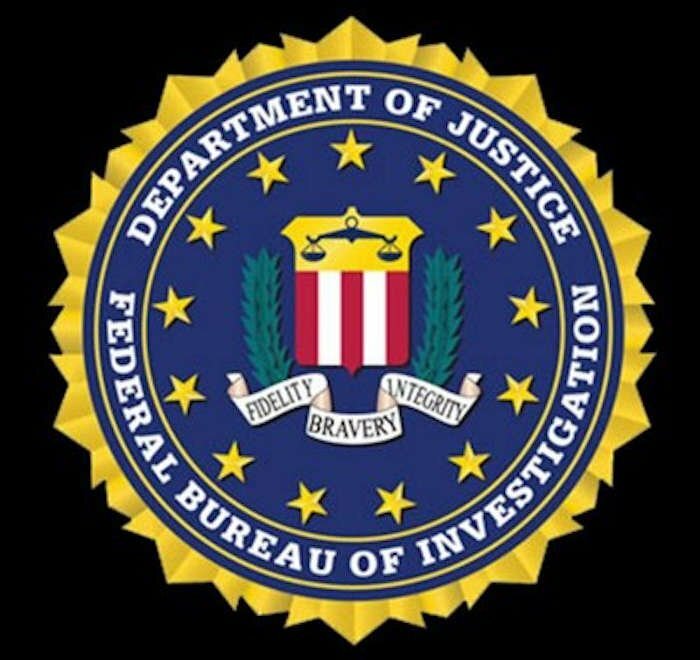 The new FBI contract provides FBI agents currently carrying the Glock22, 23, or 27 (.40 S&W) with 180-grain bonded jacketed hollow point (JHP) cartridges from their PDX-1 Defender as their primary on-duty ammunition. The 180-grain .40 S&W bullet has been shown to produce energy similar to lower end .45 ACP rounds, with slightly reduced recoil and increased capacity. The video below was produced by our friends at Safety Solutions Academy during Winchester’s 2012 SHOT Show demonstration of the PDX-1 Defender line. Paul, the founder and lead instructor from Safety Solutions Academy, is an excellent self-defense instructor. SSA hosts a wide variety of firearms and safety courses in their native Ohio, and will also travel across the country to teach. Winchester had highly touted firearms and safety instructor Rob Pincus, of the Personal Defense Network, and I.C.E. Training, highlighting the performance of the PDX-1 line and his endorsement as a duty or self-defense cartridge. Rob is one of the most sought-after firearms training experts in the nation. The Winchester PDX-1 Defender bonded bullet excelled at the FBI ammunition tests, and many other independent tests. Winchester uses patented technology using a reverse-jacketed, bonded bullet shown to penetrate a wide variety of intermediate barriers while maintaining very consistent target penetration with reliable and extensive expansion. The outstanding benefits of a bonded bullet is the chemical process that bonds the jacket to the soft lead bullet. It is this bonding process that provides greatly enhanced penetration and expansion. Without bonding, jacketed bullets often have the jacket shredded from the soft lead bullet core, causing uneven expansion, reduced penetration, and often a loss in bullet mass as the softer bullet splits into pieces rather than remaining intact. The Winchester bonded PDX-1 Defender cartridges have excellent features. Winchester PDX-1 Defender cartridges use nickel-plated brass casings for superior corrosion resistance, along with very smooth feeding and extraction. Nickel’s more slippery texture is the key to its superior feeding and extraction, and is much more resistant to corrosion. FBI Winchester PDX-1 Defender cartridges utilize flash suppressed powder to reduce excessive muzzle flash that can reduce daylight shooting vision, and seriously hinder low-light and night vision. Winchester’s ammunition met and passed the FBI’s stringent darkened range evaluation. MSRP: Not listed (about $25.00 per 20-round box – FBI price cheaper). When I first came across the Winchester PDX-1 ammunition I was really impressed. So much so, that I went out and bought several boxes, and still have (2) home defense handguns loaded with this ammo. 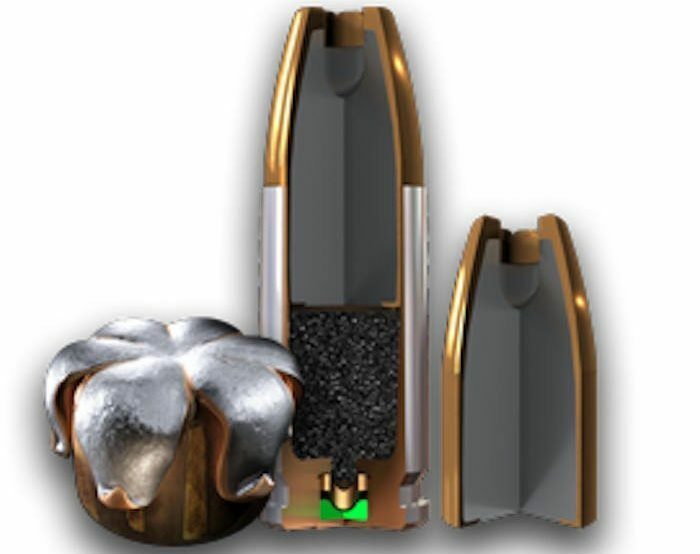 The patented bonded technology is an outstanding improvement over standard jacketed bullets, and as the videos show (and my observations) creates a very impressively consistent expansion of the bullet upon impact with soft tissue as well as total or almost total mass retention. Winchester has a long history of providing ammunition to the government, and civilian shooters. The selection of the PDX-1 ammunition by the FBI is understandable and a good selection for the diverse uses FBI agents may be confronted with. Have you or your agency used Winchester ammunition? What do you think of the Winchester bonded PDX-1 ammo? Editor’s Note: BlueSheepdog does not sale advertisements on this site. We do not have a financial relationship with Winchester, and have no plans of doing so. Our hope is to provide objective reviews, free from manufacturer influence. BlueSheepdog does participate in the Amazon affiliates program. Clicking the links within this article, and especially if you buy a product from one of our links, is what keeps this site operational. Thank you!